Update the Linux kernel - First we install latest kernel updates for Fedora Linux. Then we configure the fedora virtualbox repository and install virtualbox using dnf install command. So let's get started. First, Update the Fedora Kernel using dnf update Command. When you update the kernel in fedora, your existing kernel will not be removed. The dnf update command will install the new kernel while keeping the old kernel. You can Select the old kernel during the boot process if you want. Install gcc and kernel headers packages. To Install VirtualBox on Fedora, we need following dependence packages kernel-headers, kernel-devel and gcc. We can install These three packages using dnf install command. Create the fedora virtualbox repository file inside the /etc/yum.repos.d with .repo extension. Then Open the virtualbox.repo file and add following lines. Then run the dnf repolist command to make sure that fedora virtualbox repository is active. First run dnf search command to list available VirtualBox versions to install. In our case you can see we have two versions available, VirtualBox 4.0 and 5.0. We will Install the latest version 5.0 using dnf install command. Now the Installation is finished, but there is one more thing you should remember. In order to use some VirtualBox features like USB device Sharing , Linux user who uses the VirtualBox must be a member of the vboxusers Linux group. We can add users to the vboxusers group using the usermod command. Replace the username with your actual Linux login name. For example, if your username is admin, then execute the usermod command as follows. Even Though you don't need to be a member of the vboxusers Linux group to create and run the virtual machines, You won't be able to share host USB devices with Virtual Computers without being a member of the vboxusers group. Now we have finished the Oracle VM VirtualBox installation on Fedora 23 workstation, We can open the VirtualBox manager from the Activities Menu. 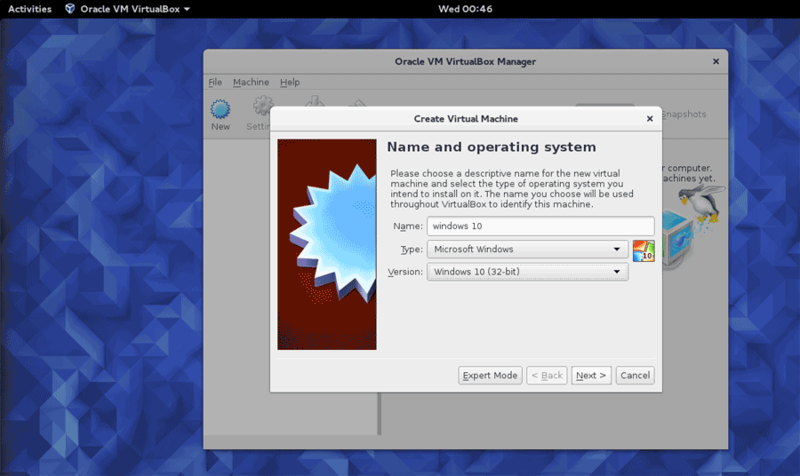 In This Tutorial We Learned How to Install Oracle VM VirtualBox on Fedora Workstation 23. First we update the Fedora kernel and install the dependence packages kernel-headers, kernel-devel and gcc. Then We create the VirtualBox repository and install the VirtualBox using dnf install command. Finally, we add users to the vboxusers group to access additional VirtualBox Features. In the Next Tutorial We will learn how to install THE VirtualBox extension pack on Fedora Linux.